Ocean politics have become increasingly visible in a world facing accelerating climate change and rising sea levels. But aside from the menacing uncertainty of a hydrosphere on a warming planet, the world’s oceans remain a vast and largely untapped system for sustainable power generation. Wave energy, or marine power, is currently a nascent commercial area ripe for development and technical innovation. Although attempts to harvest wave energy have been made at least since the late nineteenth century, the first experimental wave farm was opened in Portugal as recently as 2008, at the Aguçadoura Wave Park. In its current form, generating energy from ocean currents and tidal power often involves a wave energy converter (WEC), a technology that uses the motion of ocean surface waves to generate electricity. The SurgeChop Project at Cooper Union, by mechanical engineering students Daniel Nash and Medwin Chang, takes existing WEC technology and improves it to increase the useful energy generated from wave power. 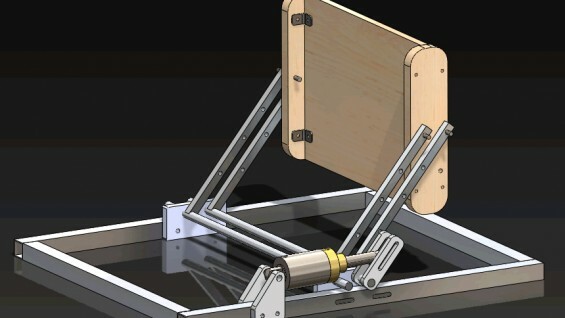 Working with the guidance of Professor George Delagrammatikas, the SurgeChop team will be one of many highlighting their research and design this Thursday, April 27, at the 2012 Mechanical Engineering Design Expo at the Cooper Union. The ME student expo takes place from 10 am through 5 pm on Thursday, April 27, 2012, in the lobby of 41 Cooper Square. The event is open to the public, and students will be available from 2 to 5 pm to field questions about their projects. John Hawk and Nicholas Rotella will also be showcasing their project at the expo: the Gestural Language for Operations in Virtual Environments, or GLOVE. 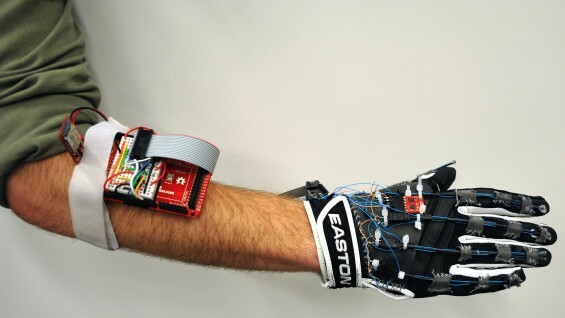 The technology they are developing allows a user to interact with a computer with a wearable hand interface (read: glove) that allows hand motion to be captured and recorded as easily as speech. One application the two students have developed with their product, with the advisory of Professor Stan Wei, is the real-time interpretation and recording of sign language. The glove and necessary electronics are battery-powered and completely wireless, using Bluetooth to communicate with a target computer or host device (laptop, cell phone, or specialized computer hardware) at a range of up to 100 feet, making the technology easily portable. Students Nelson Chiu, HuiZi Lin and Kevin Tulod meanwhile have been working with professors Toby Cumberbatch, Eric Lima and Nina Tandon to develop Clinical Trial on a Chip, or CToC. Their product improves current drug screening processes to determine safety for human use by targeting drug cardiotoxicity. The FDA’s screening process involves testing on animals and humans, but only a handful of clinically tested drugs are deemed safe for human consumption. The CToC system analyzes the action potentials generated by cardiac cells and tissues to identify harmful drugs before human trials begin, thereby saving millions of dollars spent annually on clinical drug research. Unlike current systems which limit studies to a single cluster of cells, CToC incorporates a multi-well cell culture plate to achieve accurate results at a high yield. This high throughput approach allows for more thorough pre-clinical drug screening at a quicker drug turnover rate.